According to venture capital firm Rock Health, “Funding of digital health companies in 2015 is closely mirroring 2014’s record-breaking year, with funding surpassing $2B through the first half.” At this year’s Health IT Leadership Summit in Atlanta, executives from a group of fast-growth, venture-backed health IT companies spoke about the relationship between private capital and innovations in healthcare interoperability. One central theme emerging from the panel discussion: to secure investment capital, companies must demonstrate how their technologies solve key business challenges, in addition to technical ones. 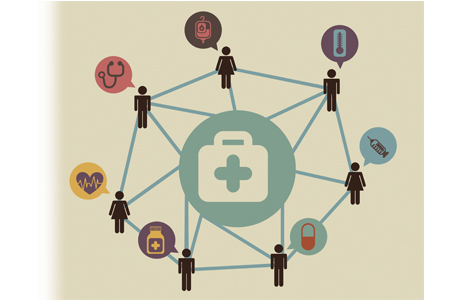 Technology is not the major barrier to achieving healthcare interoperability. In fact, software companies have been parsing and exchanging files between disparate systems for more than 30 years. In most cases, the larger barrier to interoperability is incentivizing key stakeholders to cooperate rather than to compete. Interoperability is all about delivering the right information to the right people within a given workflow. As such, it’s critical to understand: 1) the purpose of the workflow, and 2) the payment model that will most incent all the people involved in the workflow to cooperate. So when it comes to securing investment capital, defining the business problem that a company will solve is key. Once that happens, interoperability simply becomes a tool to address the business challenge. For example, the ACO program developed by the Centers for Medicare and Medicaid Services (CMS) brought forth a host of innovative interoperability solutions. To obtain the quality metrics required by the ACO business model to generate revenue, ACO customers compelled their technology vendors to collaborate. Under the pressure of this business demand, the vendors worked together to create interoperable solutions. Companies seeking capital need to understand all the forces at play, including regulatory changes and market drivers. Meaningful Use is one regulatory influence that actually accelerates the drive toward interoperability. Yet as the ACO example illustrates, market demand is an equally critical force. It requires companies to understand the business goals of healthcare organizations as they work to revamp their IT infrastructures. Value-based reimbursement, for instance, is a business problem that requires interoperability to ensure all stakeholders behave in a common and efficient manner, and are aligned regarding goals and reimbursement. As value-based reimbursement moves from novelty to normalcy, IT systems must evolve to optimize revenue through higher quality clinical care. Addressing the challenge from a technology perspective is a matter of defining and extracting quality metrics and providing cost transparency in a way that both payers and providers can understand. It’s understandable, therefore, that private capital is attracted to those large-scale IT solutions that are equipped to help healthcare systems operate under this new business model. The healthcare consumer is another powerful market force. Patients who now own a much larger share of financial responsibility for their healthcare costs want pricing transparency, collaboration and information sharing from providers and payers. For consumers, lack of interoperability is a source of immense frustration — even bordering on crisis. This crisis is neither an exaggeration nor something to be taken lightly, since healthcare consumers are increasingly crucial stakeholders in the success of value-based care. For value-based care to work, consumers must have the ability to access the information that allows them to be active participants in their own care. Raising capital for interoperability innovation is very much a function of customers — whether providers, payers or patients — having a strong voice in the equation. Across the industry, regulations in tandem with market forces driven by customers are attracting private capital to solve business problems. Interoperability is major part of the solution.